I have problems since upgrading to Firefox Quantum. 2) I cannot control tab events (e.g open different kind of links in the same tab or a new one and focus on it , jump to previous tab and many more configurations) I had with "Tab mix plus" extension it's now a legacy extension with no suitable replacement is there any way to config all tab behavior without this extension ? Looks promising...Though much is not implemented yet. 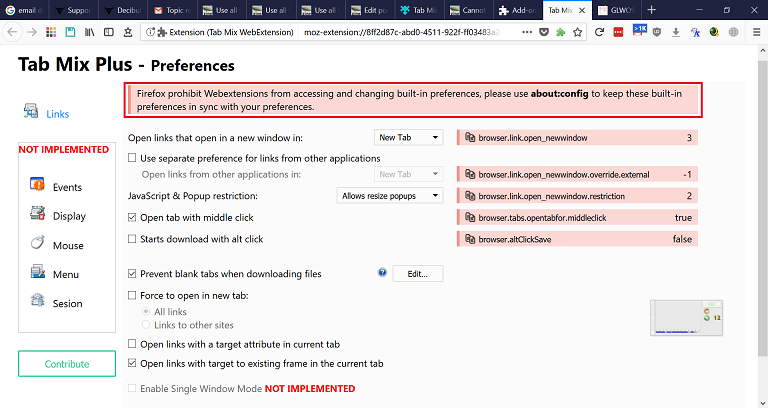 How do I fix this warning message "Firefox prohibit Webextensions from accessing and changing built-in preferences, please use about:config to keep these built-in preferences in sync with your preferences." I need to go to each setting in about config and change it manually ?? What about the "hide caption titlebar plus" is there any alternative for it ? 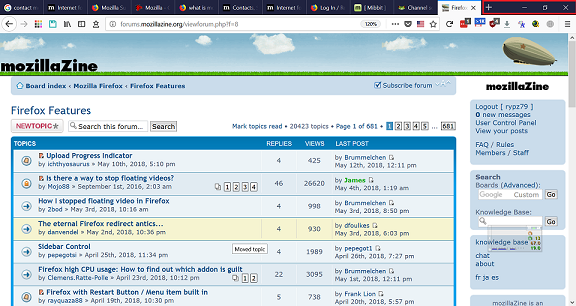 how can I use a all the title/tabs bar ? ?